Over the past several weeks our leaders and staff have been praying and seeking God’s direction for our future and our current financial situation. This morning I felt God prompting me to call everyone together for a special Core Life this Wednesday night. 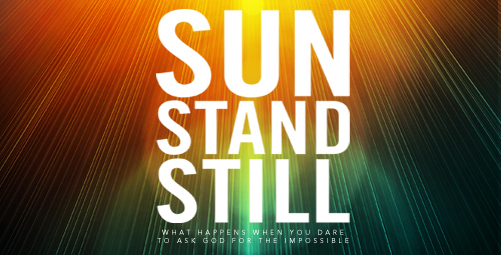 On Wednesday nights we are going through the series “Sun Stand Still.” This has been a very powerful series. I believe we are about to experience our own “Sun Stand Still” moment. I want to ask you to join me this Wednesday night at 7pm for a special Core Life. I truly believe what we are going to do this Wednesday night will be something our church will remember and be talking about for years to come. I believe this will be our “Sun Stand Still” moment. I can’t express to you how important I believe it is for everyone, who calls Core Church their home, to be here. This is a moment you, your family, your children, and our church will say “I’m glad I was there and a part of such a faith building moment.” I wish I could explain exactly what is going to take place, but it would not do it justice. I look forward to joining with you this Wednesday night.